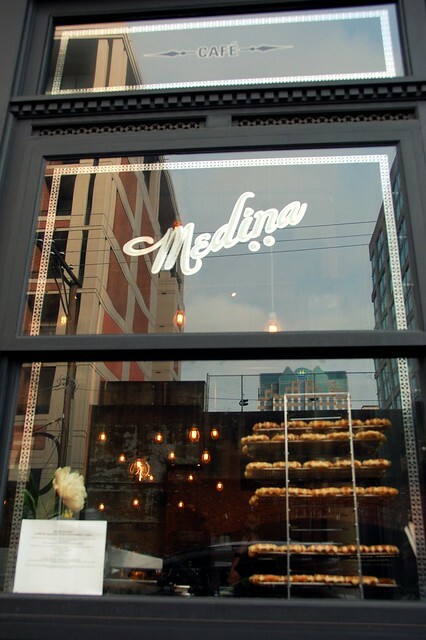 Medina Cafe should be your go-to destination in Vancouver for brunch and great coffee. 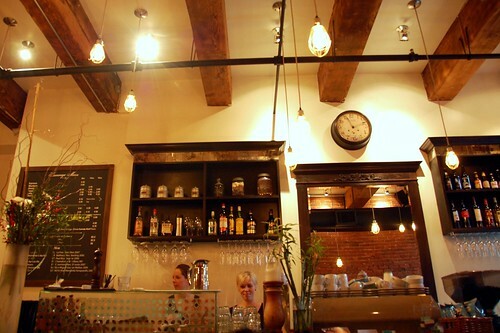 The place is small and does not accept weekend reservations. You will wait. But you will be thrilled that you did. 16 oz. 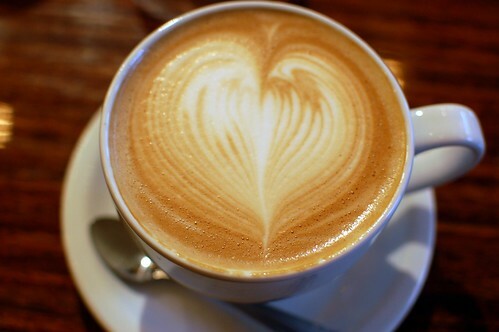 white chocolate pistachio mocha (CAN $4.60). Best giant cup of coffee ever. Ever. EVER. Waffle with raspberry caramel (CAN $3.15 for waffle, CAN $1 for topping). 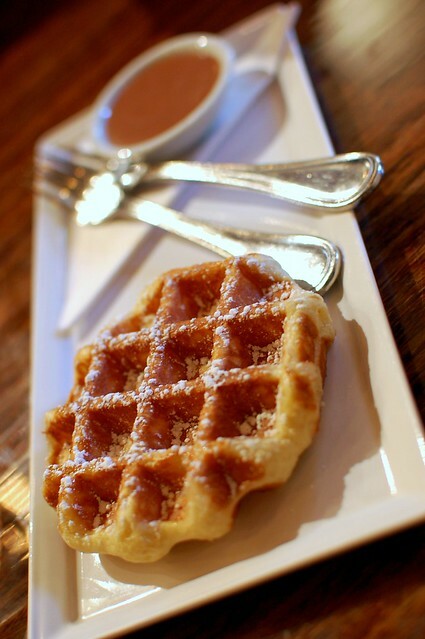 How could a simple little waffle and a little pool of sweetness bring so much joy? A must-get. If you don't have time for a full meal here, definitely grab this baby and a coffee. 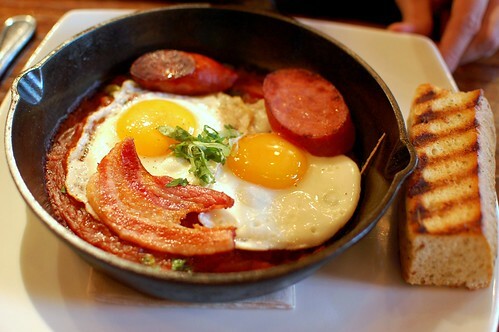 Cassoulet -- two fried eggs on baked beans, saucisson de Paris, double smoked bacon and andouille, and grilled focaccia (CAN $15). This was not a breakfast for the weak. You'll need a hearty appetite to finish this skillet masterpiece! 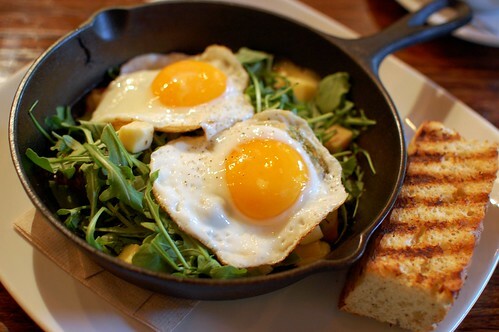 Fricasee -- two fried eggs, braised short ribs, roasted potatoes, caramelized onions, arugula, applewood cheddar, and grilled focaccia (CAN $15). Also not a dainty breakfast by any means. There were short ribs under that greenery! Needless to say, we were very satisfied, full, and happy when we left Medina Cafe. Go. 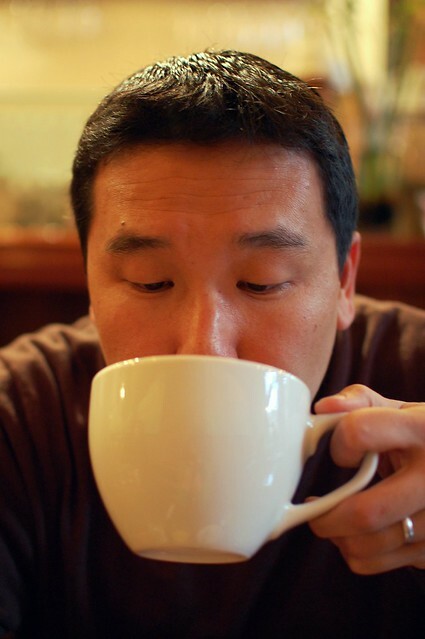 Honestly, is there a bad place for coffee in Vancouver? We haven't found one yet! We ate there too! I could have had about 30 waffles they were so good. But all that greenery makes it healthy, right? right? 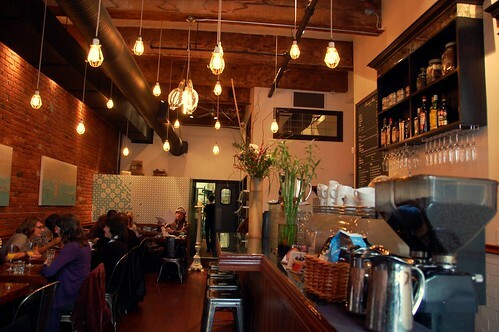 Great food & restaurant shots; the dangly lights looks so cool! oh yum. that is all. dang. that looks like my type of breakfast. Now that looks like my type of breakfast. That waffle is calling my name! i love breakfast. and that looks like a place that's tickle both the bear's and my fancies. pretty but hearty. oh wow ... looks wonderful! a friend lives in vancouver and raves about this place. thanks as always for the fantastic update ... my mouth is watering for their hearty breakfast + waffles! oh damn. i'm such a sucker for short ribs.